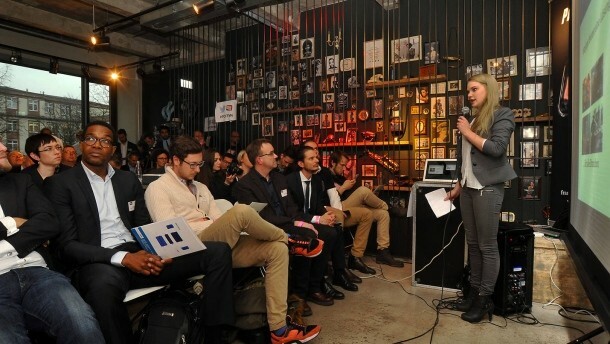 Pitch Club is the most successful pitch event in the Rhine-Main region. As we are in the process of expansion, a Pitch Club is very likely to take place near your area soon. Are you in the process of money raising and are you willing and able to present your startup in front of top-notch investors? Then apply with a convincing pitch deck via our contact form. IT, Marketing, Legal or Sales – especially in the early stage, a startup lacks often expertise, manpower and the money to cover crucial aspects for the development of its business. Our experts have expertise and know-how in different fields and are willing to support your startup for equity. Contact us for further information. You have a brilliant idea, but you do not know how to execute it. You are searching for the right IT, business expert or a Co-Founder to bring the idea fast to market? The Pitch Club Founder’s edition connects founders in the classic Pitch Club format. Being interested? Apply for the next edition. Together with our partner network, mentors and further institutions, we provide workshops on a regular basis. For instance: “How do I pitch successfully?”, “What do I need to consider before signing an investment agreement?”, “How do I get my first customers?” Our experts from different fields give insights into the founder’s daily routine and answer your questions. Your startup is already successful and you want to expand internationally? Due to strong partnerships and an excellent network in the US, Israel and Eastern Europe, we support you with the market-entry in your target market. If you are interested, do not hesitate to contact us. Need a new web presence, corporate identity, an image video or “just” awareness in the media. We cooperate with different partners, covering those aspects highly professional. Besides, we work together with excellent and very experienced PR agencies. Contact us for any further details.